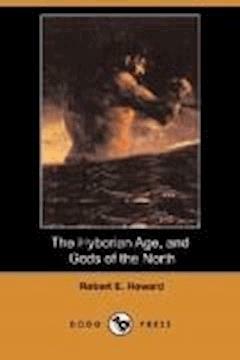 The Hyborian Age is an essay by Robert E. Howard pertaining to The Hyborian Age, the fictional setting of his stories about Conan the Cimmerian. It was written in the 1930s but not published during Howard's lifetime. Its purpose was to maintain consistency within his fictional setting. It sets out in detail the major events of the prehistorical period, before and after the time of the Conan stories. In describing the Cataclysmic end of the Thurian Age, the period described in his Kull stories, Howard linked both sequences of stories into one shared universe. Other stories would establish links to real life as well - The Haunter of the Ring, set in the modern age, contains a Hyborian artifact, and Kings of the Night brings King Kull forward in time to fight the Roman legions. This essay also sets out the racial and geographical heritage of the fictional peoples and countries of the Age. For example, how the Gaels were descended from Howard's Cimmerians. Howard's only Conan novel, The Hour of the Dragon, expands upon the history of the world presented in this essay by introducing a new ancient empire called Acheron that had ruled the Hyborian kingdoms in the past.